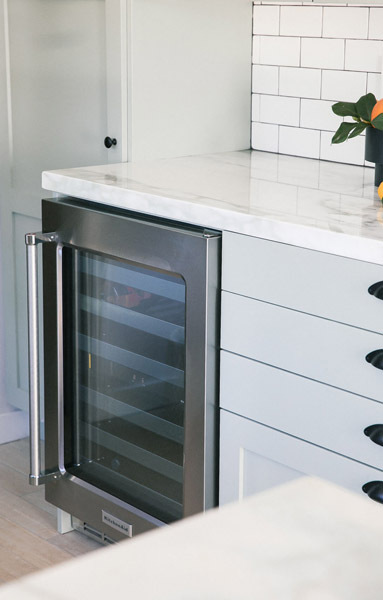 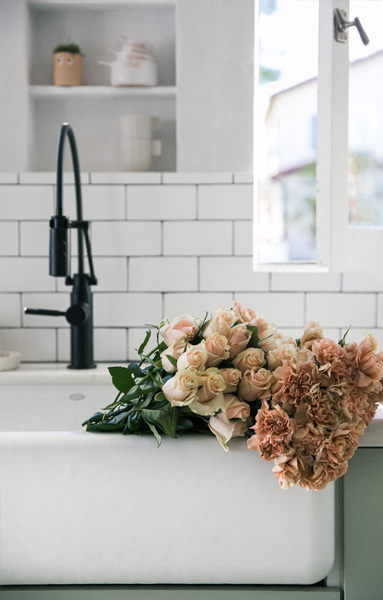 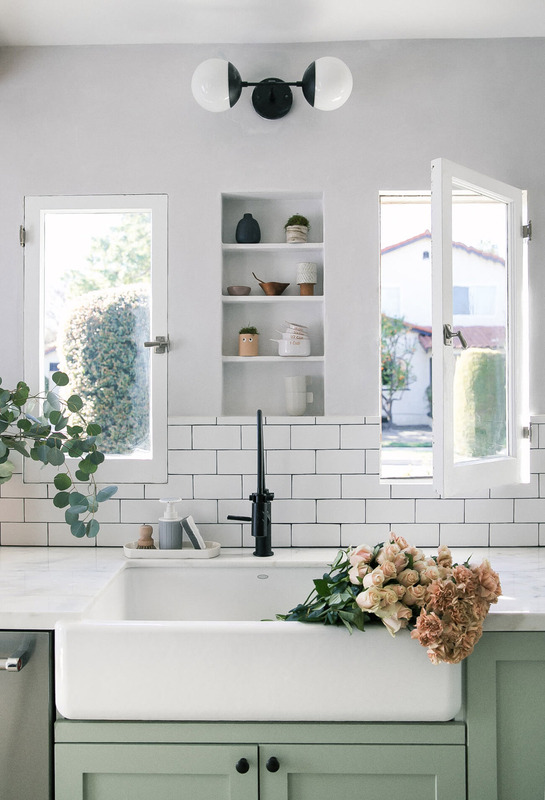 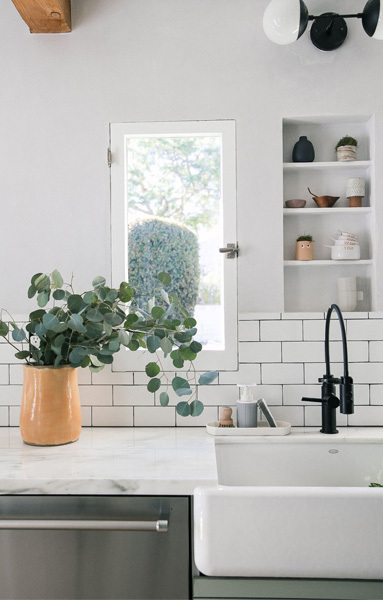 We all love a good Before + After, and this soothing mint and white kitchen renovation tour found over on A Cosy Kitchen is the perfect mid-week eye candy. 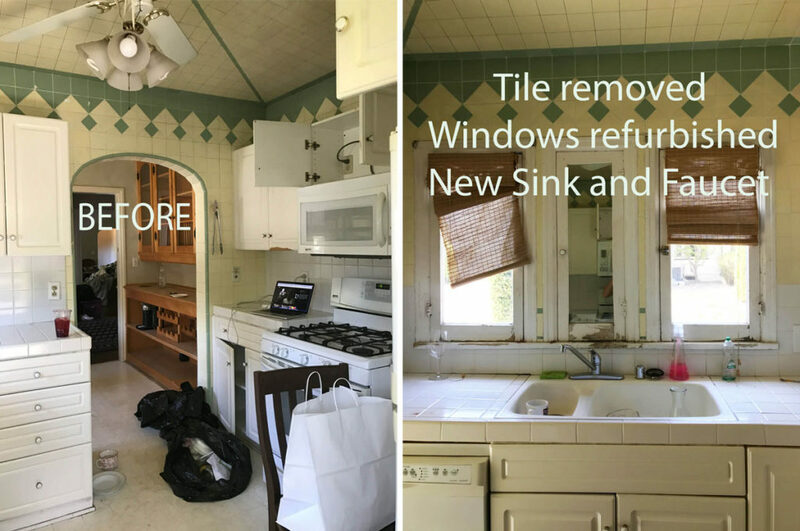 These Before images show one very tried looking kitchen desperately asking for a makeover America’s Next Top Model style. 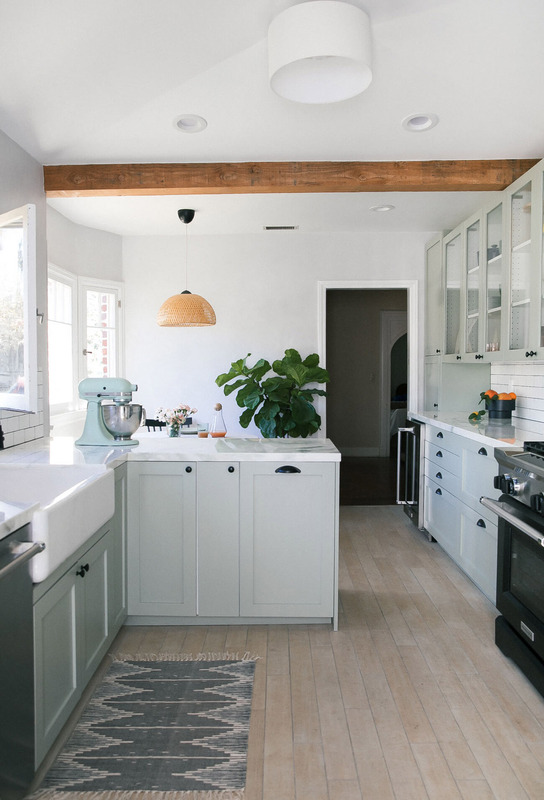 The inspiration for the kitchen comes from the English cottage style of the house, as the owners wanted to be true to the overall aesthetic of their home. 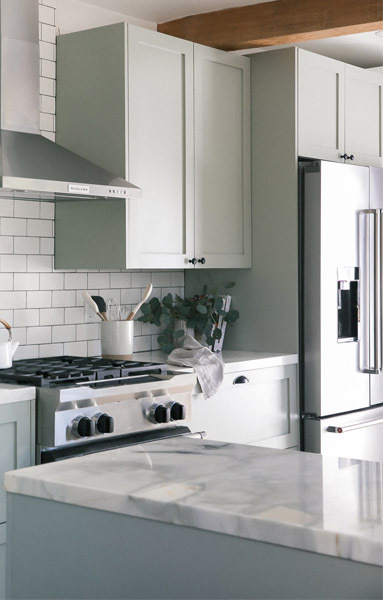 On their must have list were shaker style cabinets and a kitchen with general appeal should they end up selling their house. 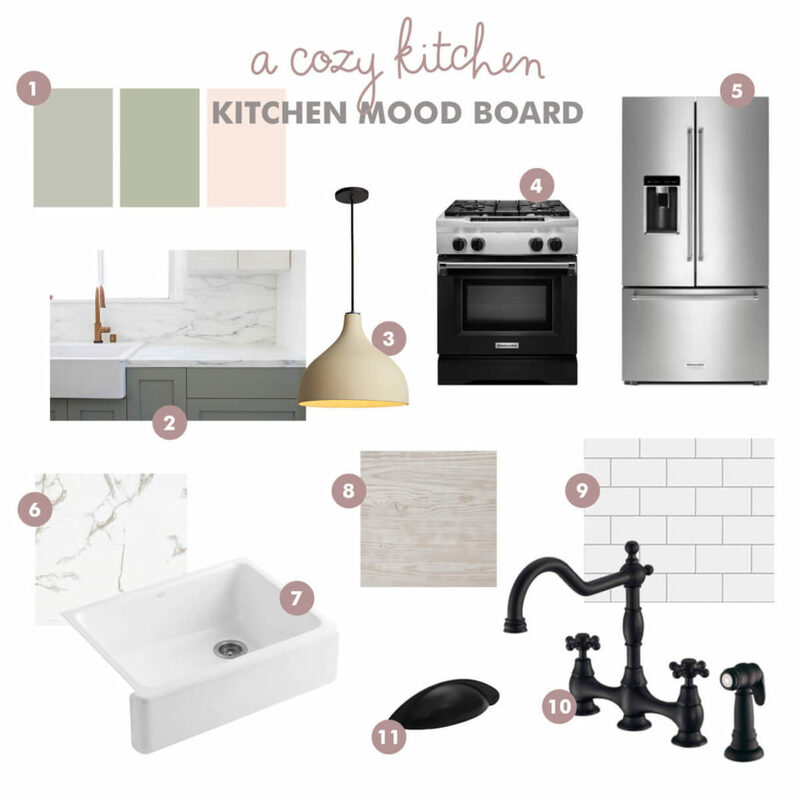 Their mood board that set the tone for the redesign. 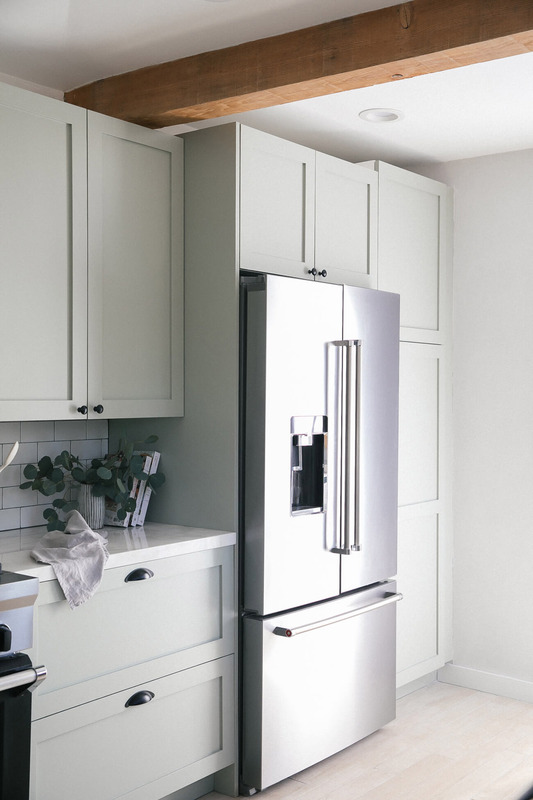 The colour of the cabinets is officially know as Farrow and Ball’s Blue Gray No 91, however depending on the light it looks like a gorgeous soft mint or light sage green. 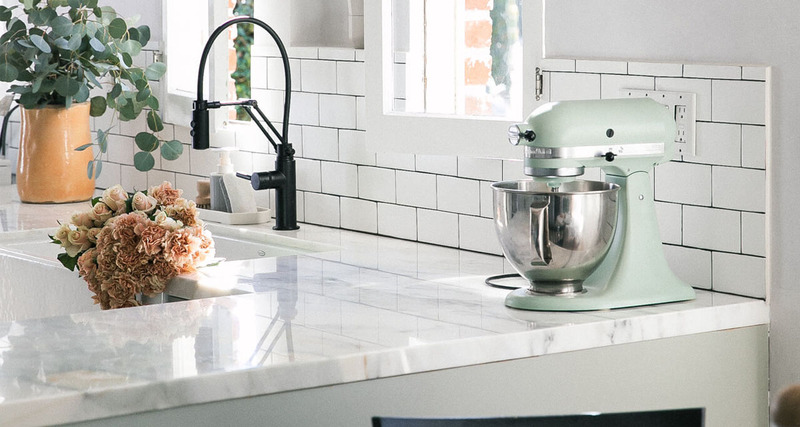 The black hardware is a lovely contrast to the otherwise pastel kitchen and gives the classical design a contemporary feeling.